Of course, you want to keep your family safe, which is why it’s a good idea to invest in the installation of an aluminum fence and driveway gate. Your home will not only feel safer, it will be safer. Your family pets and small children will be able to freely play throughout the yard without the constant worry about them leaving the property or someone entering that shouldn’t. 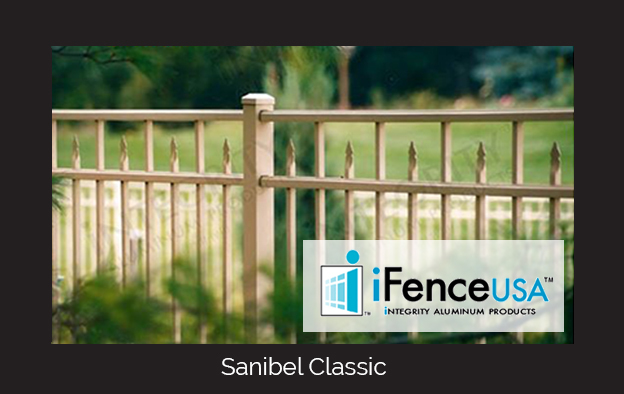 Aluminum fencing and gates help to protect your home and loved ones from the vulnerabilities that exist outdoors. As mentioned above the installation of an aluminum fence makes it virtually impossible for them to leave the backyard. With the fence installed they will be able to freely roam outside while giving you some peace of mind that they are safe. Most parents don’t mean to intentionally leave their children outside playing alone but occasionally we all run into the house for a drink or to rush to another child to the bathroom. It is in those split seconds when children are most likely to venture away. An aluminum fence prevents this. Just like children, pets are easily contained with an aluminum perimeter fence. One option in aluminum fencing is puppy pickets, which are extra aluminum pickets added to the bottom of the fence to prevent even the smallest of pets from escaping under the fence. Another benefit found in aluminum fencing when it comes to pet containment is that the aluminum fence panels, no matter what decorative style or color you choose from, can be ordered at varying heights. If your dog is a fence Houdini, then you can easily order a taller fence making it virtually unescapable. An aluminum driveway gate is the best option in preventing unwanted visitors. A closed gate eliminates the possibility of entry without the expressed desire of the homeowner. Driveway gates are incredibly strong, durable, and safe. Once installed homeowners can consider automatic controls to allow easy opening and closing of the gate with the touch of a button. Although most aluminum fencing is a style of fence referred to as picket, it still offers a distorted view of the activities behind them. With a fence installed you lessen the intrusion of noisy neighbors and give yourself more privacy then you would have without one installed. Thieves are looking for easy targets when they set out to rob a home. A home equipped with a driveway gate and perimeter fence are not easy targets. These obstacles help detour intruders for easier targets. Whether you install a driveway gate or an aluminum walkway gate it is important to note that it can come with hardware that allows the fence to be self-locking and self-latching. Most often seen as an important feature in aluminum pool gates this is also an ideal option for walkway gates when a home has small children or pets as they can easily nudge past a fence that is left unsecured. No matter how you look at it the purchase of a perimeter fence and driveway gate is never a waste. 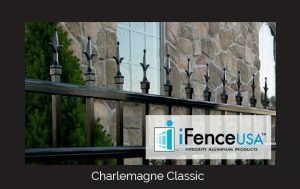 When is comes to the installation of aluminum fencing it is important to note that this expense is virtually always recouped in the sale of the house. Which is a win-win situation for you as a homeowner. If your backyard features a swimming pool it is crucial that you add an aluminum pool fence and self-latching, self-closing aluminum gate. You’ll be able to keep your family safe and enhance the beauty of your backyard with a long-lasting and durable aluminum fence and gate. Not only is it an affordable option but you can customize your aluminum fence and gate since they come in a variety of colors and style. There are many reasons to choose an aluminum fence to enclose your backyard swimming pool. To provide your family more privacy from the neighbors when you’re outside swimming, an aluminum fence and gate will hide what you’re doing from others, allowing you to enjoy some privacy from peeping eyes. Your family will feel comfortable going about their swimming routine without having to worry about nosy neighbors trying to see in to your backyard. If you have pets, you might want to enclose them somewhere so that they don’t access certain areas in your home or yard when you’re not home. Aluminum fences and gates provide a convenient enclosure for them to roam around in without having to cage them or place them in a tiny space somewhere else. An aluminum swimming pool fence will also keep pets out of the pool area as well. When you have small kids and a backyard pool, you’re always worrying about them going out alone and ending up in the pool. To ease your mind and provided added safety, aluminum fences and gates will act as a barrier for little rooms who wander out into the backyard alone. They won’t be able to reach the pool and your mind will be at ease knowing you decreased the risk of them drowning. By sectioning off your yard with an aluminum gate and aluminum fence, you’ll be able to add space to your home, allowing you a private section to entertain guests or simply sit back outside and relax in comfort. Any do it yourself homeowner can install an aluminum fence in their backyard; it’s really that simple! Installing aluminum fencing surrounding your pool can take as little as an afternoon or as long as a weekend. 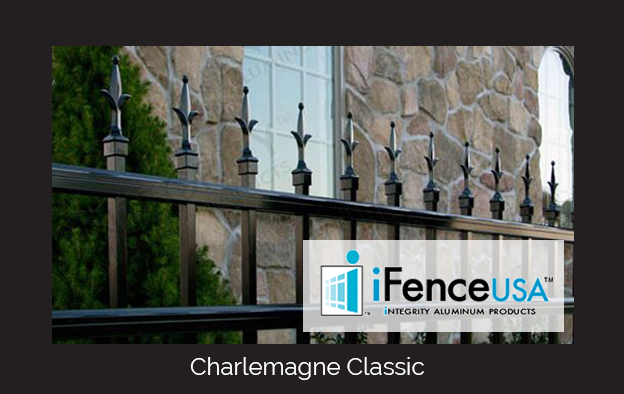 Aluminum fence panels and gates will more than meet your expectations!